Winter solstice of Japanese culture! 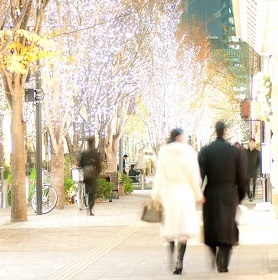 A winter solstice called Touji in Japanse is around December 21th in Japan. The duration of sunshine is about five hours longer than summer solstice in Tokyo. On the winter solstice day, the power of the sun is weakest in a year, but it is stroger from this day. Therefore, it is said that fortune of people rise from this day in Japan. On the winter solstice day, many Japanse eat the foods which have "N"(sounds NN) name in Japanese, carrot, radish, lotus root, ginkgo nut and more. This custom called Unmori means not only acting superstitiously for good luck but also a widom for tiding over the winter by eating nourishing foods. It is like a midsummer day of the ox. 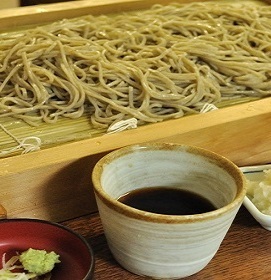 In addition, eating a pumpkin or Touji-gayu on this day is also popular in Japan. Pumpkin is also known as a food for tiding over the winter. Touji-gayu is a rice porridge with Adzuki beans(red mung beans). It is said red color is like the sun and means exorcising evil spirits. 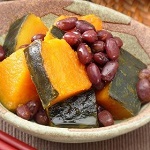 People in some region eat a boiled dish made from Adzuki beans and pumpkin. Aprt from foods, there is a custom to take a yuzuyu on the winter solstice day. Yuzuyu is a hot bath scented with yuzu which is citrus fruit in winter. It means cleansing the body before eat above lucky foods. It is like an Acorus calamus bath of Japanese Boy's festival. 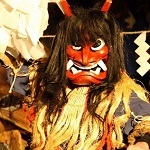 If you travel Japan around December 21th, you can enjoy Touji and experience Japanese culture through it.